In the age of the internet, with a vast amount of knowledge a few keystrokes away at all times, we are in an unprecedented era of Do It Yourself. We are fortunate enough to live in a world where you can watch a YouTube video to learn how to play guitar or fix your sink, all for free! Invariably, in these Do It Yourself times, I will occasionally be asked if estate planning form documents can be downloaded online. The answer is, obviously, yes. However, Bobby Flay also posts his recipes online, yet for some reason my food never quite comes out as good as his. What Documents Are You Getting? 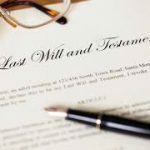 Many online estate planning sites offer users the opportunity to create a way to dispose of their assets at death, usually in the form of a Last Will and Testament. However, an attorney drafted estate plan, at a minimum, consists of the following four documents: 1. Last Will and Testament; 2. Power of Attorney; 3. Living Will; and 4. Health Care Proxy. Without all four of these documents, you have not created a full estate plan. A Will only lets people know of your wishes and appoints fiduciaries upon your passing. During your life your Will has no effect. Prior to your passing, you may become incapacitated and need someone to make your medical and financial decisions. In other words, you may need an Attorney-in-Fact, appointed through a Power of Attorney, for your financial transactions and a Health Care Agent, appointed through a Health Care Proxy, for your health care decisions. Without a Power of Attorney and Health Care Proxy, no one will have been appointed to serve in these roles. Meaning the court will have to appoint a guardian for you, possibly someone who would not have been your first choice. Will These Documents Be Valid? Okay, so you now know what documents you need to download (because I gave you a big hint in the previous paragraph). However, it does not matter how much money is saved by downloading estate planning documents online, if what you download is not valid. Are all documents available online invalid? Probably not, but I don’t know. Are the documents you downloaded valid? I don’t know. When will you find out the documents you downloaded are not valid? When you go to use them, which most of the time is too late to create new documents. For example, when your heirs go to probate your Will and the Surrogate’s Court rejects it, you will not have an opportunity to create a new Will. A less black and white example is your Power of Attorney. New York has its own very specific requirements for a Power of Attorney, as does Florida, as does New Jersey and likely every other state. People in the business of seeing Powers of Attorney routinely, such as banks, get used to seeing, a certain form. If your Power of Attorney does not look like what they are used to seeing it will be sent to their legal department. At that point, your attorney-in-fact is at the whim of the bank’s legal team as to whether the document will be accepted or not. If your Power of Attorney is not accepted, and you are incapacitated and cannot execute a new one, your appointed attorney-in-fact, or someone else, will have to go to court and seek to be appointed as your guardian. People make mistakes. You are much less likely to pick up on your own error in the document you create, than you are to pick up an error when an estate planning attorney sends you drafts of your estate planning documents, prior to your signing, and you notice your son’s name is spelled wrong or your daughter was inadvertently left out of a section of your Will. All companies that sell DIY Wills do not hold themselves out as law firms, because for various ethical reasons they cannot. 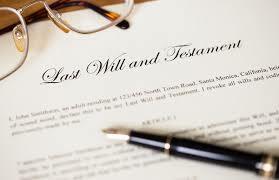 Therefore, you are on your own in drafting, reviewing and executing your estate planning documents. To the best of my knowledge, there is no estate planning program available that can definitively tell you whether your estate plan makes sense, if your assets are all being distributed, that all contingencies are being covered and that what you want to do with your assets can be done. For example, if you leave $500,000 to your dog, will Rover get a check made out to him? Probably not. Does that mean you cannot leave money to have your beloved pet cared for? No, you can, but there is a way to do it that may not be covered in your downloaded form. You may think you do not need an attorney drafted estate plan because, “your life is simple” or “my plan wouldn’t be complicated.” You may be right. However, do you have young children? Who would you want to be their guardian if you and your spouse both passed away? What about your assets if you and your spouse both pass away? Should your young children receive your assets in trust or outright? If in trust, who should the trustee be? Should your children’s guardian be the trustee, so they do not have to ask someone else for money to support your children? Or should someone else be the trustee, so there are some checks and balances with the guardian? These are considerations that take your simple plan and make it slightly more complex. This is also a situation where the advice of an estate planning attorney is essential. If you are in a second or third marriage or fourth marriage and you have children from previous marriages, how do you want your assets to pass? If you execute a simple “I love you Will” with your spouse (a Will where you leave everything to each other) with husband or wife number four and you pass away, all of your probate assets are going to pass to husband or wife number four; who will likely leave those assets to their heirs when they pass away and your children with husband and wife numbers one through three will likely get nothing. However, with some planning you can benefit husband and wife number three or four during their life and have the assets ultimately pass to your children from marriages one, two or three. Perhaps the greatest hole in online estate planning documents, the thing DIY estate plans are missing the most, is the advice of an estate planning attorney. In using many online programs, you will be asked a series of questions and those answers will produce your document. However, where is the back and forth? Where is the advice based on your answers? Where is the explanation of what all of these provisions mean? Where is the knowledge of someone who has administered estates to guide you on how these provisions actually work in practice? Simply put, it is impossible to know what you don’t know. Any good estate planning attorney will be able to go over your situation and discuss the best way for you to pass your assets to the next generation. Your estate planning attorney will likely run scenarios and situations past you that you did not consider, which will only serve to strengthen your estate plan. If you are utilizing forms, you are using a one size fits all approach. Anyone who has caught a t-shirt from a t-shirt cannon at a basketball game can tell you, the shirt likely did not fit. So, the form you are using may not fit your situation. Everyone has a unique situation and can benefit from at least one aspect of professional estate planning. The estate planning attorneys at Twomey, Latham, Shea, Kelley, Dubin & Quartararo are available at your convenience to answer your questions, review your current estate plan to ensure it meets your needs or to discuss the implementation of an estate plan.